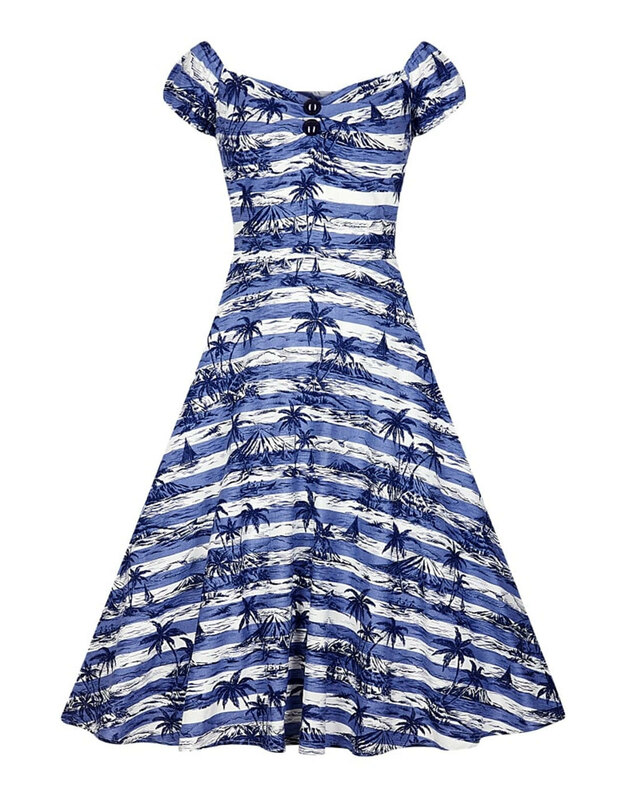 Collectif Vintage 'Dolores' Retro 1950s style Doll Dress in a fabulous tropical Mahiki print. 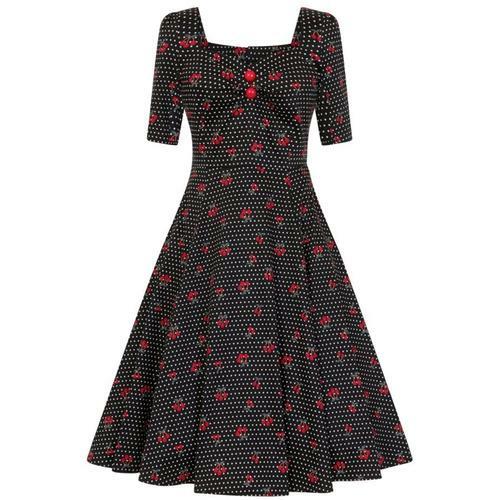 Falling in with Collectif's South Pacific theme to this seasons collection, this cute retro dress is fun, flattering and easy to wear. 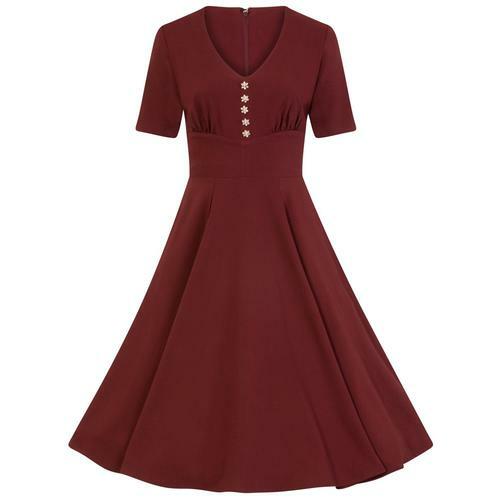 Featuring a retro sweetheart neckline, short cap sleeves and a full swing style skirt, the Collectif Dolores Doll Dress looks great on women of all shapes and sizes. The pretty linen-effect nautical stripe cotton fabric adds to the Vintage charm and scenes of sailing boats, palm trees and tropical islands that make up the gorgeous Mahiki print accentuate the summer vibe. 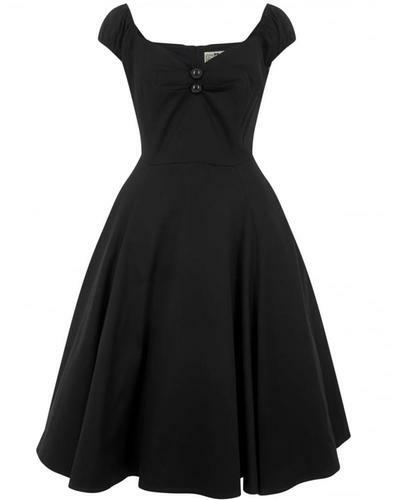 - Collectif 'Dolores' retro 1950s vintage style Doll Dress. - Fun and bright all over retro Flamingo print. - Vintage style full skirt. - Pleated detailing to bust. 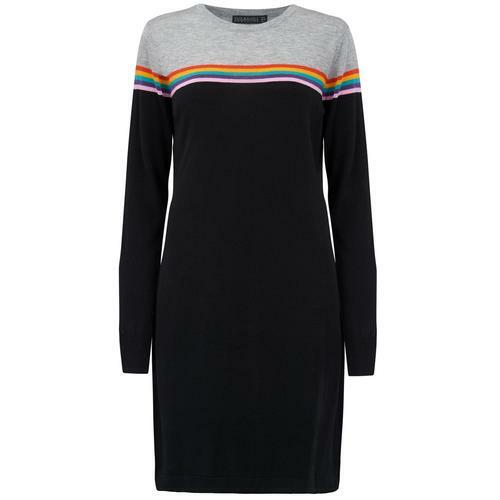 50% Cotton 30% Linen 20% Viscose. Care: Machine wash at 30 degrees. Please refer to garment care label.